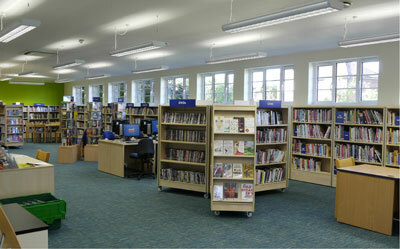 We run both regular sessions and one-off events at Ham Library. Visit our what's on page to find out more. Ham Annexe is a modern venue which benefits from a self-contained equipped kitchenette, making it perfect for your event or meeting needs. Basic stationary items (e.g. notepapers, envelopes and ballpoints pens) are available for purchase at this library. Take your small electronic items (WEEE) and batteries for recycling to this library.